We are a member owned community food market and cafe. We strive to carry a discerning selection of locally produced and organic foods. We are one of the few co-op’s around that continue to support working membership opportunities. It’s you that keep the wheels “terning”. The Good Tern Market, in conjunction with the Rockland Public Library, will be showing the movie Food For Change on Thursday March 9th at 6:30 pm in the library’s Community Room. 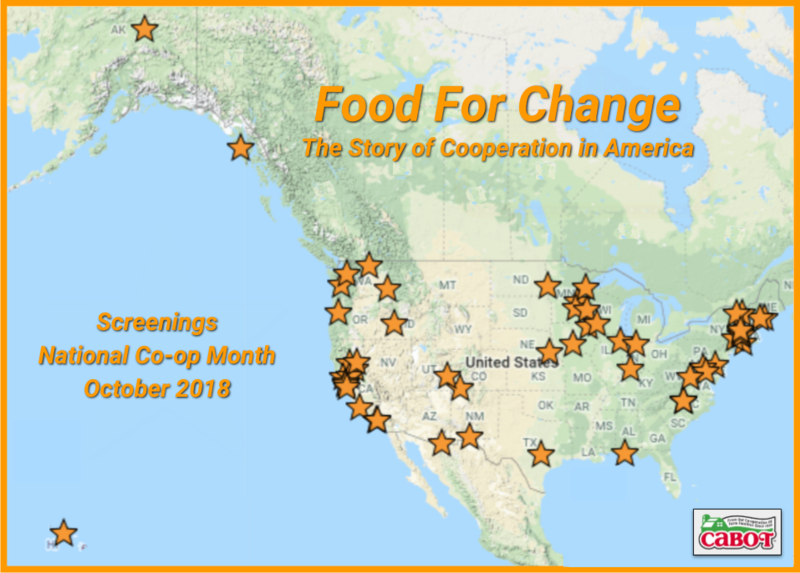 The inspirational film traces the history of food cooperatives in the United States. It shows how the cooperative model can be a powerful tool, in this instance in regards to food supply. It tells the story of how communities suffering hard times came together to re-energize their downtowns by establishing whole food markets accessible to all. Comparisons have been made between the depression of the 1930’s and current times. The movie shows how cooperatives flourished in that era, because they empowered people to benefit from their own labor. The movement struck a middle path between profiteering corporations and the dreaded communism of the day. In the polarized times of today, this message is especially appropriate. The Good Tern Natural Foods Market strives to provide healthy food at an affordable cost to all. One of the core principles of the Good Tern’s mission to is educate people on eating in a more healthful way and how to do so on a budget. The Good tern cordially invites the general public and members to this viewing and discussion following facilitated by Licensed Acupuncturist Abi Morrison who is a 36 year member.